Do you want to experience free flight but aren't crazy about the idea of running off a mountain? 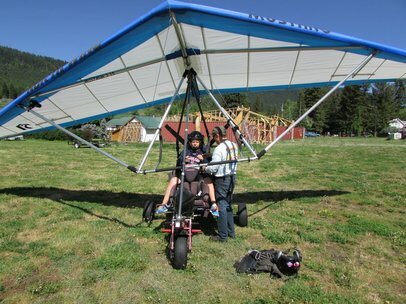 Try a tandem trike flight! All you need to do is sit down in the three wheeled powered trike and enjoy an exhilarating takeoff from our own grass runways. 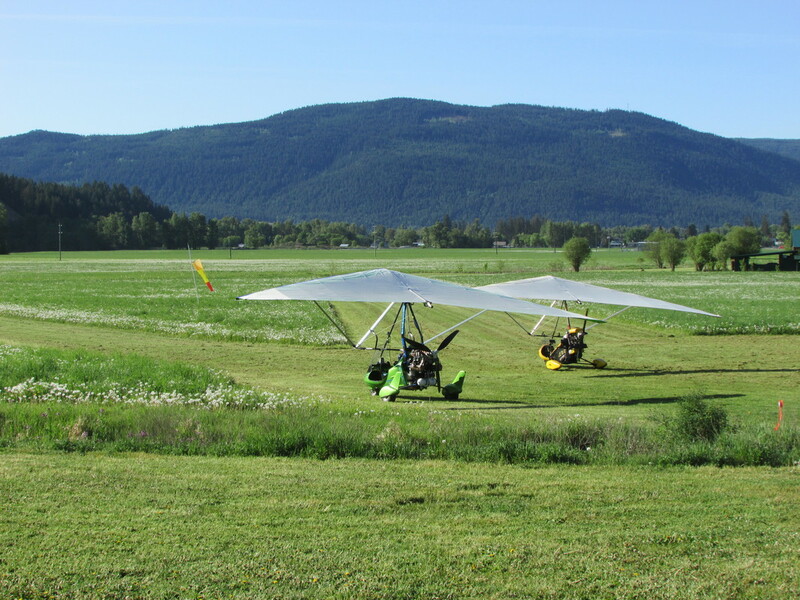 You will fly high in the sky to enjoy gorgeous views of the Lumby Valley. The engine can be turned off and you can experience what free flight is like. Hands on opportunity to control the glider in flight. The controls are the same as a foot launched hang glider. ​Maximum weight of passenger: 250 lbs. Flight times are typically in the early to mid morning or in the evening, when the air is nice and smooth. Purchase a full license course or buy time in allotments. We can tailor your courses to fit your pace and budget.